Here is my usual Friday attempt at relaxation. This time, it’s butterflies. 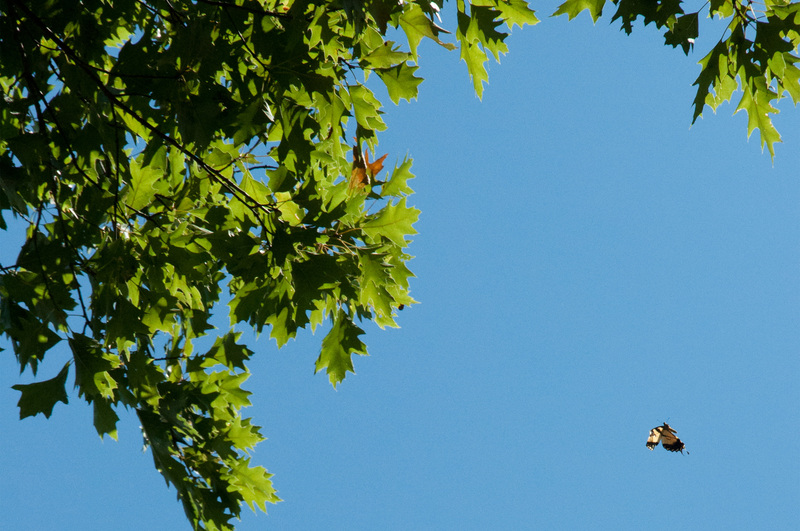 I looked upward and saw two tiger swallowtails high in the trees. I snapped a few photos and was surprised that one of them actually came out. 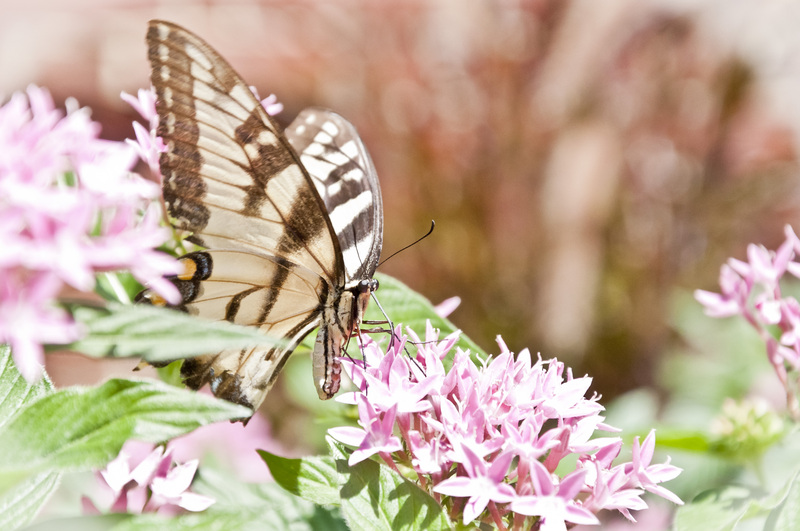 Tiger swallowtails have been incredibly numerous this summer. 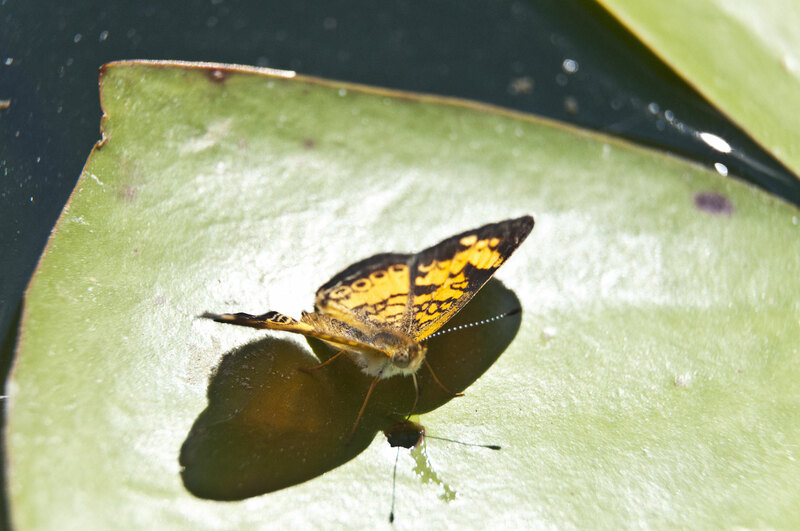 Click on the image to enlarge it and get a good look at the proboscis. Spicebush swallowtails are probably the next most common. This is probably due to their chosen host plants which are common. 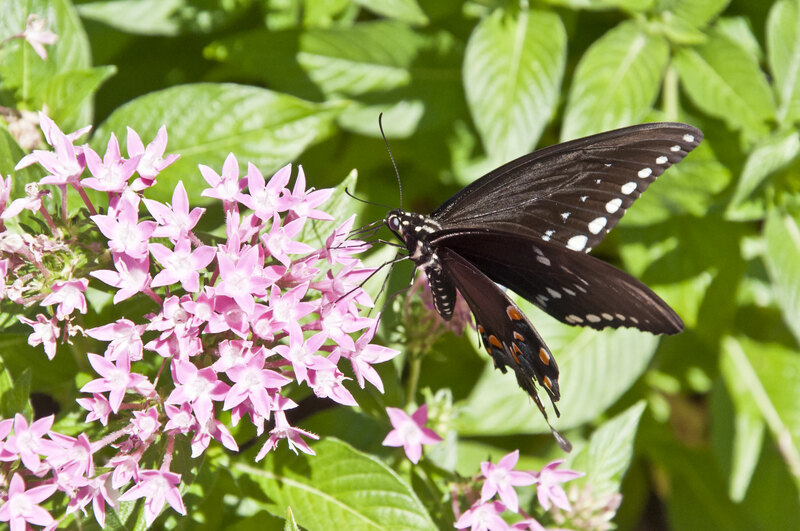 The spicebush swallowtail lays its eggs on spicebushes. 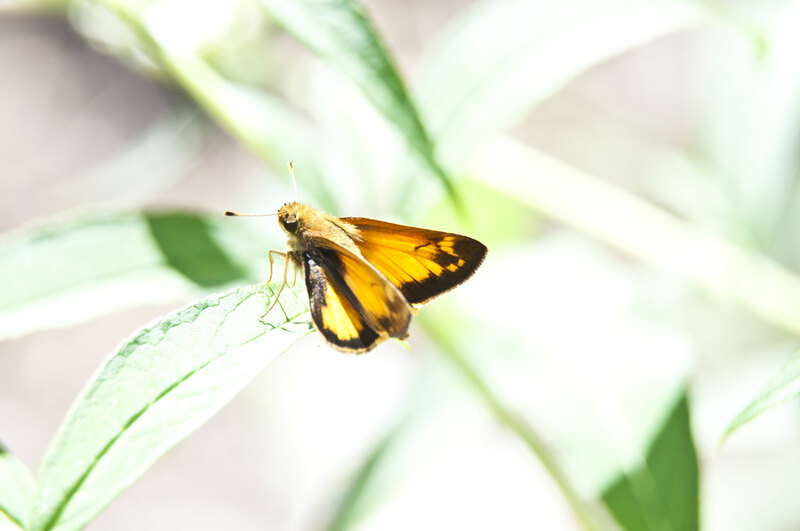 We have quite a few different varieties of skippers which look very similar. Two of the nearly ubiquitous silver spotted skippers. 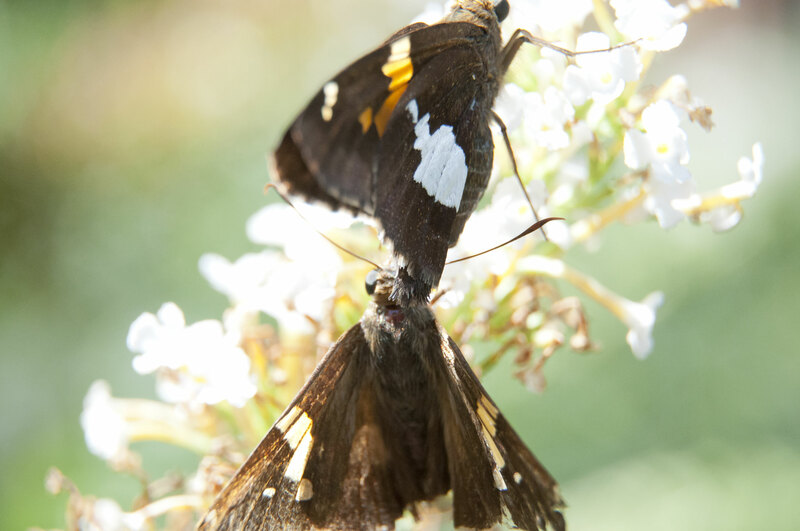 I took the photo because the butterfly on the bottom appeared to be clinging to the one on the top.